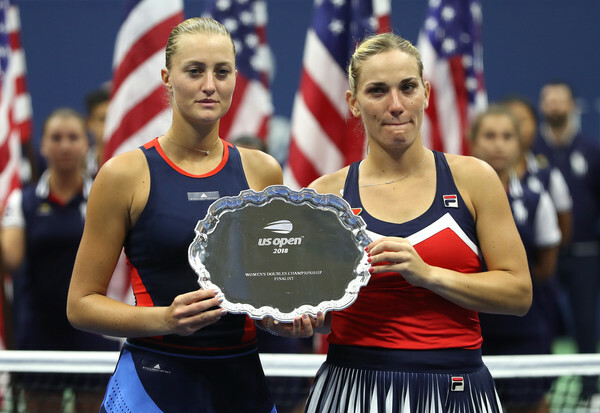 The Hungarian-French pairing of Timea Babos and Kristina Mladenovic will compete at the 2018 WTA Finals after a stellar year which saw them win the Australian Open. 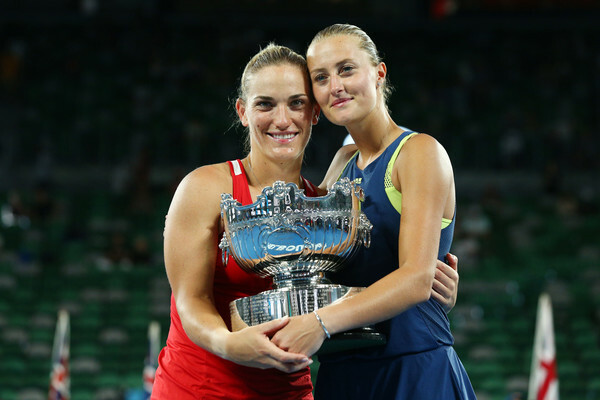 Australian Open champions Timea Babos and Kristina Mladenovic are experiencing a resurgence season having split up as a pair in the previous years. After reaching their maiden Major final together in 2014 and splitting up in 2016, they have joined forces once again this year, and their hard work was finally rewarded with their first women’s doubles Grand Slam trophy. As a result, they have successfully qualified for the year-ending championships, the 2018 WTA Finals held in Singapore, for the second time as a pair. They boast two titles this year and are ranked second in the Porsche Race to Singapore leaderboard. Furthermore, Babos is currently the world number one on the doubles ranking. They started the year in the best possible way — defeating the top two seeds at the Australian Open and came out of nowhere to storm to the title. Babos and Mladenovic edged past top seeds Chan/Sestini Hlavackova 8-6 in a final-set tiebreak, before defeating the top Russian pairing of Ekaterina Makarova and Elena Vesnina, who were going for the Career Grand Slam, in the final. A quarterfinal appearance in Doha alongside a semifinal finish in Indian Wells was followed by yet another final in their first clay-court tournament of the year at the Mutua Madrid Open. There, they defeated three pairings, Peschke/Melichar, Sestini Hlavackova/Strycova, and Barty/Vandeweghe consecutively but fell to Makarova/Vesnina in a tightly-contested final. Interestingly, their opponents en route to the final all qualified for the WTA Finals as well. Their grass court campaign also got off to a great start with a title at the Nature Valley Classic, impressively defeating other quality pairings, including soon-to-be Wimbledon champions Krejcikova/Siniakova, in the process. 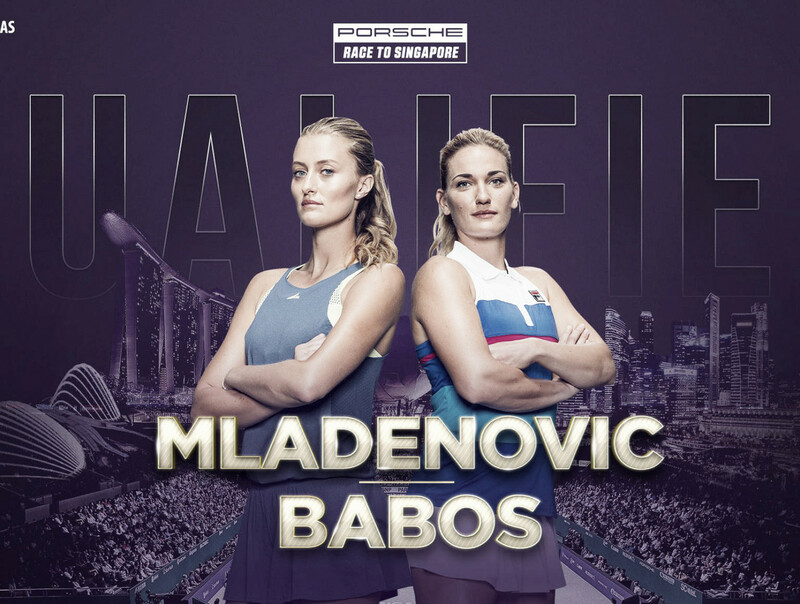 Babos and Mladenovic then reached their second Grand Slam final of the year but failed to convert a match point in the final against Barty/Vandeweghe as they failed to capitalize on a golden opportunity to reclaim the top spot in the race. Nonetheless, it was a terrific run for the pair who claimed 11 consecutive sets in the tournament until the second set of the final. They will enter Singapore with consecutive quarterfinals in Wuhan and Beijing, although they may have rued the golden chances to find some good form before entering the fifth-biggest tournament in women’s tennis.